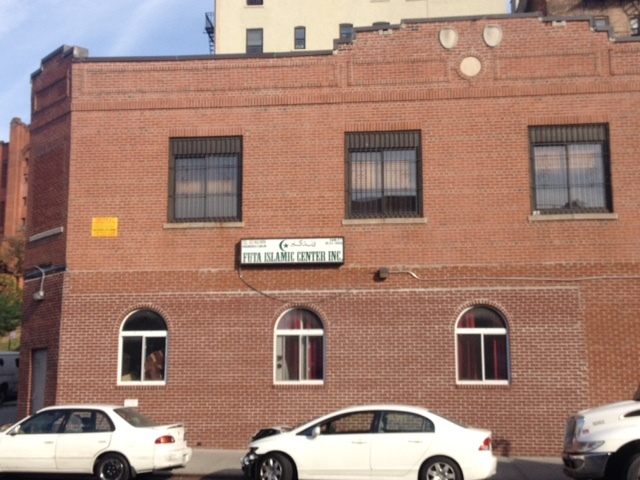 The Futa Islamic Center on 166th Street and Third Ave. where friends said goodbye to Mamadou Barry on Sept.25. Unnerved by the murder of one of their own in late September, Bronx taxi drivers are demanding prompt implementation of more effective safety measures. 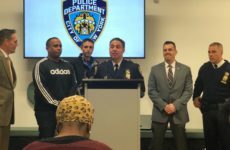 Mamadou Barry, 39, was shot and killed in his car shortly before 1:30 a.m. on Sept. 21, near the intersection of East 189th Street and Beaumont Ave. in the borough’s Belmont section. Barry picked up a passenger near E. 138th Street and Brook Avenue, in Mott Haven, according to NYPD. Police say the the gunman shot Barry in the head after a dispute over the fare and fled the scene. 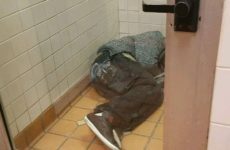 His body was found in his green Lincoln Town Car. Nicolas Sanchez, 24, was arrested two days later and charged with murder. The following Friday, the Guinean community congregated at the Morrisania mosque where Barry regularly prayed, to say goodbye to their friend. The congregants at the Futa Islamic Center on 166th Street were both saddened for the loss of their friend and worried about their own safety and livelihoods. Barry, who had lived in the US for about 15 years, was a resident of the neighborhood. Some fear that the killing will discourage taxi drivers from working at night, when most drivers pick up most of their fares. However, Justin Bonet, head dispatcher for Barry’s former employer, American Base No.1 Inc., said service would continue as usual. Some drivers still prefer to work at night so they can be with their families during the day, he said, and added that many are willing to brave the safety risk of driving at night to avoid contending with morning traffic. So far, the company says, drivers have not refused to take the night shift. Though Bonet said that there is little the company can do to push for legislation, they are anxiously standing by in hopes that the city will take notice and implement tougher safety standards. For that to happen, the Taxi and Limousine Commission will have to take the lead, he said. Partitions between drivers and passengers should be mandatory, he said, and every livery car should be equipped with a camera. Barry’s body was sent back to his native Guinea for burial. He left three children and his wife is pregnant with their fourth.